COVERT PRO — a new protection philosophy: no matter what state the computer — whether it viruses and spyware. It does not matter whether there is an understanding of the principles of the operating system user. It is important that your work at the computer becomes invisible to the spies. 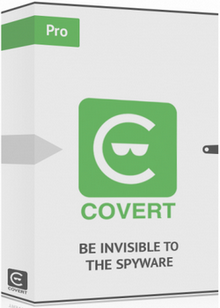 COVERT PRO — an innovative solution that guarantees complete confidentiality while working at the computer. Traditional anti-virus and anti-spyware software does not protect from the screen shots and video recording software-skrinshoterami because this action is not prohibited, and it is unknown — it makes the user, or someone watching him. 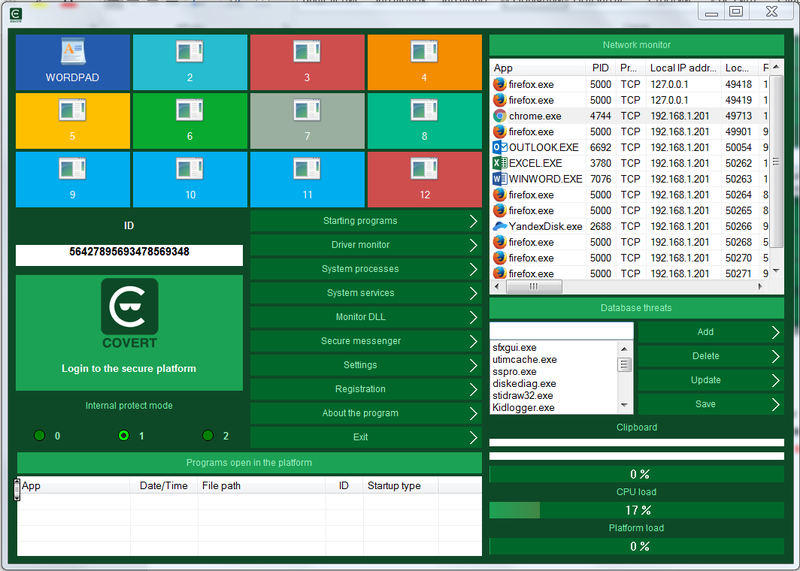 A similar situation and with protection from keyloggers. There are many programs that intercept keystrokes to perform specific functions. For example, a Quick Launch button software. This legal action, which does not interfere with anti-virus programs. 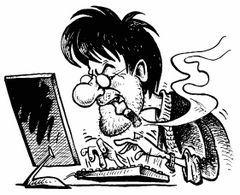 The most reliable method of protection against spyware — masking action of the computer user. Its essence is to create a secure platform within which the user can run any of your applications, while remaining invisible to the spies. All user actions on a computer disguised by intercepting keyboard input and reading of the monitor screen image.